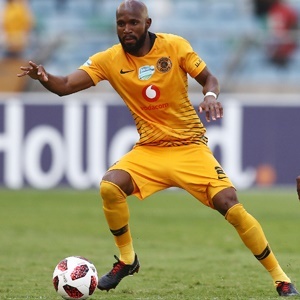 Cape Town - Kaizer Chiefs and Bafana Bafana defender Ramahlwe Mphahlele says he is going nowhere until he wins some silverware after signing a new deal at Naturena. Mphahlele recently inked a two-year contract with the option of another year. 'Rama' joined Amakhosi from Mamelodi Sundowns at the beginning of the 2016/17 season. While the 29-year-old became accustomed to winning trophies at Masandawana, he has had to endure a three-year silverware drought at his new club. However, Mphahlele remains committed to the cause, saying contract negotiations went smoothly and that he remains a loyal member of the squad. "It was very important to extend my contract here because, as I said, I came here to help the club achieve things, and it’s just a checkpoint of saying, ‘Okay, there’s a checkpoint to your dreams and your achievements,'" Mphahlele told Kickoff. "I want to stay here until I win [silverware]. I wouldn’t just come here and not win anything, and the next thing, I leave - no, I’m not that kind of person. "I came and I want to help the team, and that’s what I’m going to do. Until it happens, I’m going to be here [at Chiefs]. "It was easy for me to renew. It was very easy, honestly speaking, because they know me, I know the team and the club now, so there weren’t any problems - nothing."